Mexico has been plagued with violence of all sorts and things are quickly going from bad to worse. As the weeks go by body after body is piling up and Mexican authorities are struggling to get a handle on things. While the country is doing its best to combat the violence, it seems as if rebels and criminals are getting the upperhand. According to FOX News Latino, officials reveal that a total of 342 bodies from the Pacific resort city of Acapulco, Iguala and Chilpancingo are currently awaiting transfer to the state morgue in Guerrero because the ones in their cities have exceeded capacity. 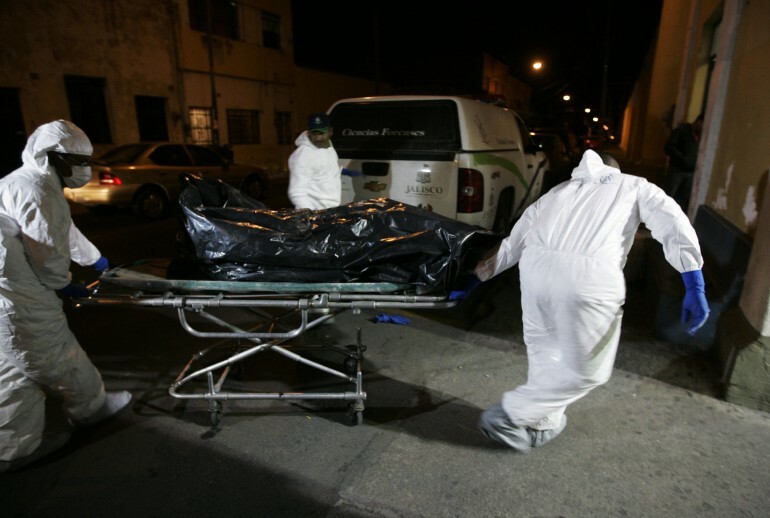 Since December 6th through December 19th the morgue of Guerrero, which is known as one of Mexico's most violent states has received 58 bodies from Acalpulco, 19 from Iguala and 20 from Chilpancingo. The site reports that the Guerrero Attorney General's office has stated that the state morgue will be working towards gathering DNA and other identifying tools for a database used to find missing people.The International Committee of the Red Cross has also provided advisory, training and other assistance to the coroner's personal office. Officials gave also disclosed to the EFE that some of the bodies have been held for years at morgues in Guerrero. While mass amount of bodies continue to pile up, parts of Guerrero have been home to some of the infamous drug cartel slayings and turf battles between rival gangs. Forty-three students disappeared in Guerrero’s city of Iguala in 2014, in an incident that prompted an international investigation and accusations of a cover-up. The largely rural, impoverished state had 1,832 reported homicides in the first 10 months of 2016. If that rate continues unabated, Guerrero would be on track to have a homicide rate of about 60 per 100,000. While authorities are moving as quickly and efficiently as possible, there is not telling of how long it will take for the morgue of Guerrero to be able to process all of the dead corpses.